Garrett: I’m from Roseburg Oregon where I currently reside. Garrett: I am a logging safety consultant. Garrett: Wife and 3 dogs. Kim and I have been together for almost 10 years now. We’ve known each other since 6th grade. All three dogs are Patterdales. Their names are Dexter, Tille and Hadley. Garrett: I have been hunting since I could walk, and too young to truly remember my first hunt. In Oregon, you couldn’t start hunting until you were 12 years old for big game. That is the age when I started big game hunting and trying to fill my tag with my dad. I was successful at filling my tag the first year and pretty much every year since. Garrett: My dad was my biggest influence on me when learning how to hunt. The biggest takeaway that I learned from him, was that persistence pays off. He has always told me that I’m the most persistent hunter he knows. One hunt that stands out to me is when we hunted for a week an a half, only to see one buck on the last evening of a hunt. He wanted me to shoot the buck so I could leave with my tag filled, since we were leaving that next morning. I told him that buck wasn’t what I wanted or came for. The buck was a yearling spike, and I wouldn’t have been proud or excited about harvesting it. Filling the tag and the meat gained wouldn’t justify the deer’s life to me at the time. At 16 years old, not a lot of kids would pass up a legal shooter after hunting hard for a week and a half. Especially with their dad wanting them to pull the trigger. I ended up going out one last time in the morning to see what the mountain would provide. When I got to the spot that I had glassed from previously on the hunt, my eyes immediately caught what looked like a buck without the use of my binoculars. Instantly I shouldered my .270 that I saved up an entire year to buy, and shot. The sound of the shot rang out across the sage. After patiently waiting for a more mature deer, I was finally able to put my hands on a beautiful 4×6 Mule deer. That hunt molded me into the hunter that I am today. That sent me on my journey of learning everything on my own and most of it through trial and error. After two years of struggling to hunt elk with a bow and zero success, I finally received help from my family friend. Going through such a tough learning curve has served as motivation for me to help others. As a result, I started providing videos on YouTube and audio content through my Podcast to make an impact on new archery hunters. I wanted newer bowhunters learn faster and not have to struggle with arrow setups, broadhead selections, shooting and general archery tips. Garrett: My favorite hunt has been with my wife Kim. She started hunting a couple years ago. Her family didn’t hunt, so watching her become the hunter she is today has been fun to see. We experienced many “firsts” together on that trip. Our first trip out of country. Our first time seeing poverty. Our first time doing a Safari and so much more. It opened our eyes to how good we have it here in America, and how important it is for hunters to be involved in other countries as a major source of revenue for these smaller communities. Garrett: My family wasn’t very successful with elk hunting. So when I picked up a bow and chased after them, it made for an extreme reality check of how difficult archery elk hunting really is. I finally sealed the deal this year on a nice 5 point bull, after 8 years of not filling my tag. Garrett: I constantly have to remind myself to slow down when I am glassing and covering ground. I love seeing new ground and love the excitement of cresting the next ridge to glass more new areas. Sometimes, this produces more animals while costing me opportunities at others that I may have missed. Garrett: Range finder. Unless it’s a top-pin shot, I try to always range the animal. I would rather have an animal leave and get no shot than miss or make a bad shot due to not taking my time. Garrett: I love hunting the wilderness areas in Eastern Oregon for Elk with a bow. The thought of being somewhere with limited human impact, no roads, less people and beautiful country is hard to beat. Garrett: Bowhunting is hard. It will test you physically, mentally and emotionally. It requires more attention to detail, patience and the mental toughness than rifle hunting. Spending the time to train in the off-season to eliminate mistakes during season. Garrett: You can find me on Instagram under the handle @onpointwithgarrettweaver. I also run a podcast (On Point with Garrett Weaver) that can be found on iTunes and other podcast platforms. All of my podcasts are uploaded on YouTube along with my website (https://onpointwithgarrettweaver.podbean.com/). We want to thank Garrett for sharing his insight and thoughts. If you want to know more about Garrett and what he does, be sure to subscribe to his podcast and YouTube channel. 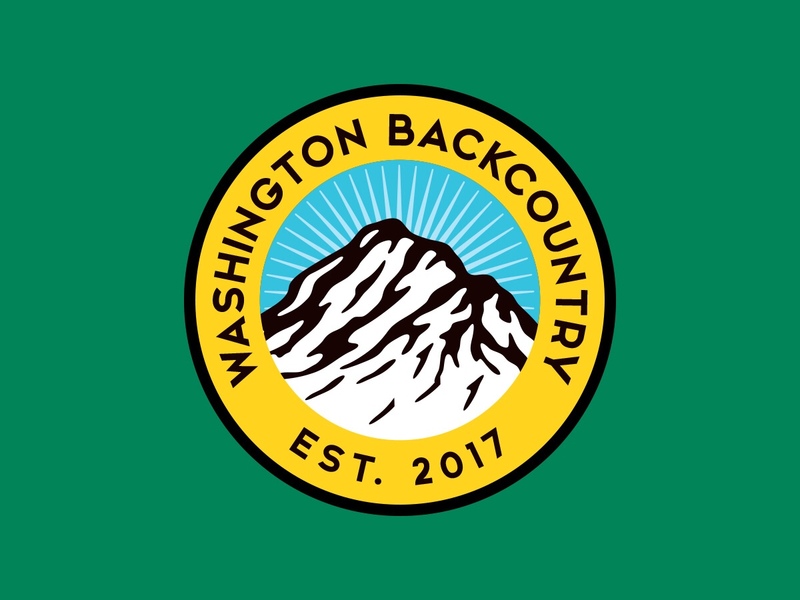 While you are at it, listen to episode 33 where he talks with Johnny Mack of Washington Backcountry (episode 33 – It’s never too late with Johnny Mack). You can also follow along on his journey by checking out his Instagram. He offers great insight and tactics for hunting.